This project brings the Zimbabwean Shona tradition of mbira and dance and the classical string quartet into the global context of musical and educational developments by adopting collaborative, informative and participatory approaches to music-making with the aim of reaching new audiences. It extends the mission of Chartwell Dutiro’s newly formed Mhararano Mbira Academy to explore community, identity and learning through mbira and dance by developing dialogues and building bridges between cultures, embracing the novelty that results from combining different musical traditions. 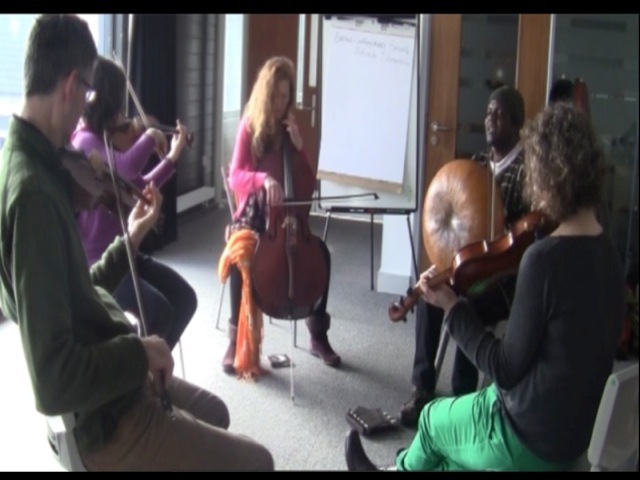 Exploratory sessions and rehearsals will culminate in two workshops and performances involving school children and college students from Somerset and Devon (in March and April 2015) to demonstrate ways of building bridges across cultures through understanding music in its different cultural contexts. Ethnographic research investigates how new music is created from this collaboration and how music crosses cultural boundaries.